The Canon Copier ImageClass MF6560 is the upgraded duplex copier version of the Canon Copier ImageClass MF6540, with multiple functions such as printing, copying and scanning and a significant addition to its arsenal - faxing - which was not available in previous models such as the Canon Copier ImageClass MF6530 and MF6540. 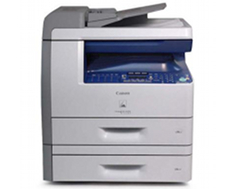 The fax option in the Canon Copier ImageClass MF6560 is not only a basic upgrade - the fax function is a Super G3 with incredible faxing speeds that matches the machine's performance in other functions. With the Canon Copier ImageClass MF6560 being a true All-In-One (AIO) machine, offices and businesses with a high demand for versatile functionality and overall reliability should not overlook this AIO's prowess and performance. The Canon Copier ImageClass MF6560 is almost identical with the MF6530 and the MF6540, and true enough, each model boasts improvements owing to the previous ones, and the MF6560 gives the addition that makes it a four-in-one multi-function center - fax. The MF6560 comes in with a 33.6K bps speed, capable of sending at speeds of approximately 2 seconds per page. Consistent with high-end and high-volume functions of its predecessors, the MF6560 possesses a memory capacity of 1,000 pages, which makes it virtually impossible to miss a fax message, whether being sent out or being received. Fax resolution is also pretty decent at 406 x 391 dots per inch, and the MF6560 includes a 23 one-touch speed dials and 100 coded dials for better customization options. The MF6560 still addresses the need for high-volume printing, with a 500-sheet front-loading cassette and a 100-sheet multi-purpose tray, specified for thicker media such as envelopes and transparencies. The speed is maintained, similar with the MF6530's capacity of 23 pages per minute on monochrome printing. Resolution for the print is consistent at 600 x 600 dpi for black while up to 1200 x 600 dpi for quality printing. The MF6560 is also power-efficient, garnering an Energy Star merit and also being included in Canon Generation Green, where "green" values of certain Canon products are determined and laid out for the consumer's benefit. Copying is almost identical with previous model releases within its class, with a 23-copy per minute speed rate using Canon's laser-based Monochrome Digital Copier. Resolutions are the same with the MF6560's printing options, which is impressive as other printers have lower copy resolutions compared to printing. The MF6560 still includes the 50-sheet automatic document feeder, and the duplexing capabilities enable the MF6560 to print, copy, scan and fax on both sides of a paper at the same time. Saving as much as almost half the work using a printer without duplexing capabilities. It also boasts a 128MB copy memory, shared among the other device functions, but still formidable to perform high-volume copier tasks. Scanning through the Color Contact Image Sensor (CIS), the MF6560 provides superb scanning quality, up to 9600 dpi for interpolated scan and 600 x 600 dpi for optical scan option. Aside from adding a high-speed fax line with a memory boost, there are really no other significant changes in the multi-function printers other functions. For one, the printing slowed at a 1 page per minute rate, again a significant reduction for high-volume and high-speed devices such as this. Also, the LCD display panel shows little to no improvement, and still maintains a monochrome interface. Review it: "Canon imageCLASS MF6560 "
The Single Cartridge System, as with other canon MFPs, is included in the MF6560's package. 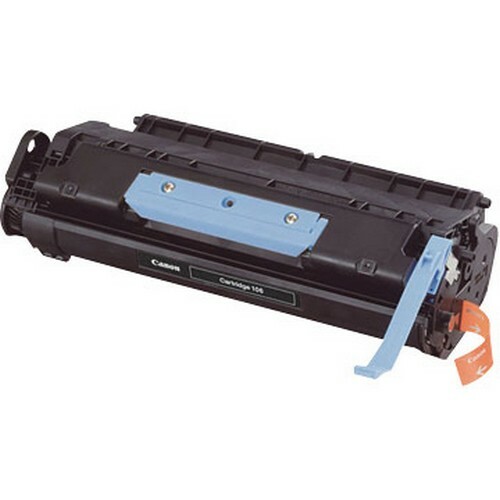 This feature is really convenient, as it allows a rather bulky and heavy set duplex copier for easy replacement and set up of its toner cartridges. 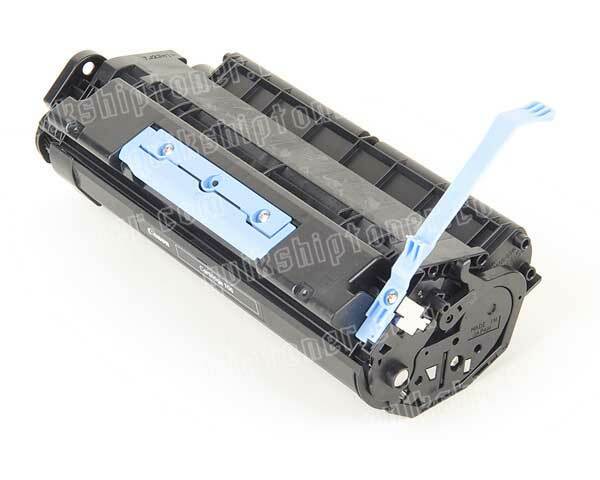 Previous replacement releases should be compatible with this device, and a standard toner yield cartridge is recommended, as well as using its Toner Saver mode, allowing the device to maximize toner usage. The monthly duty cycle is set at a maximum of 15,000 pages, relatively higher than other models in the same class and caliber. The recommended usage is not more than 3,000 page yields.